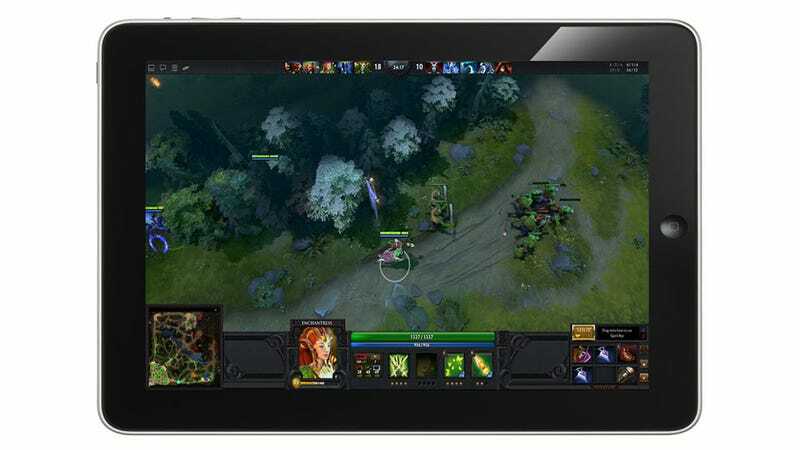 Dota 2 on your iPad? It could happen. At the VGAs on Friday night, I asked Valve boss Gabe Newell if they were working on any interesting software projects. He said they were indeed. "We were working on getting Dota 2 running on some tablets," he said. "That ended up being kind of a disappointment. But the good news is that tablets are getting faster very quickly, so I think we'll get the kind of performance we want and other game developers want in the near future." And Dota 2, a game that is fast-paced, but not quite as demanding on your fingers as an eSport like StarCraft, could be a very good fit for the touch-screen interface on an iPad or Android tablet. "It's a good one for us to test with," Newell said.